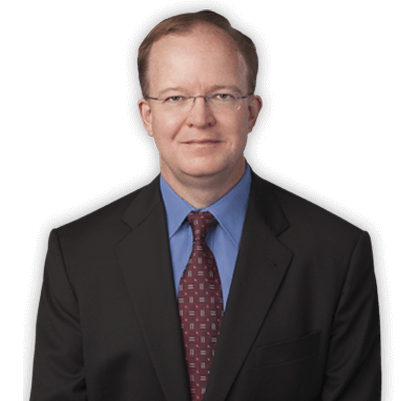 Since he began his practice in 1992 with Bingham Law’s predecessor firm, Juergensmeyer & Associates, P.C., Attorney Bingham has worked almost exclusively for injury victims and their families. He specializes in both personal injury and workers compensation law, and has years of experience handling the legal relationship between both types of claims – experience which is especially important in construction accident cases, and other work injury cases where accidents are caused in part by someone other than a client’s employer. 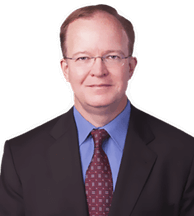 Whether cases involve automobile accidents, electrical power lines, construction injuries, workers compensation claims, or any other type of personal injury, Mr. Bingham has earned a reputation over the years for maximizing his clients’ recoveries by finding all insurance coverage which might provide compensation, and pursuing all available legal avenues of recovery. Listed below are some of the results that he has obtained for his clients.These results were obtained for clients. Every personal injury case is unique, just as every injured person is unique. The amount of compensation recoverable in your case may be higher or lower than the examples listed below. A 26 year old male painter was kneeling on the roof of a work site when he contacted a 7,200 volt electrical line operated by Exelon , causing 2nd and 3rd degree burns, traumatically-induced pancreatitis, and diabetes. He continued working as a painter for the same employer after recovering from his injuries. A retired, 71 year old woman was involved in an automobile accident resulting in severe fractures to her upper right arm and left hip. The fractures resulted in surgeries to install an artificial humeral head, and an artificial hip joint. She also developed a severe foot drop condition, causing a subsequent fall and wrist fracture. A male roofer, 23 years old, came into electrical contact with a 34,000 volt Commonwealth Edison power line, causing 2nd and 3rd degree burns to 46% of his body. He was able to return to work after recovering from his injuries. A 47 year old father of five was killed in a head on collision. The vehicle that the man was driving when he died was loaned to friends of his by an automobile dealership whose insurance carrier paid the limits of its available coverage to settle the claim. The carrier initially denied coverage, claiming that the automobile was sold rather than loaned. An unemployed 43 year old woman developed back and leg pain following an automobile collision which caused moderate damage to her vehicle. A dorsal column stimulator, and eventually a morphine pump, were surgically installed in order to treat her pain. A 53 year old woman slipped and fell on ice that had accumulated on the surface of a casino’s parking deck, due to an inadequately maintained caulk seam on the top level of the parking deck. The woman sustained a badly fractured ankle, requiring multiple surgeries and ultimately fusion of the ankle joint. A pregnant, 33 year old woman sustained a shattered pelvis in a head on collision caused in part by an oncoming police officer who stopped his car suddenly. The baby survived following an emergency C-section, and sustained major brain damage. The majority of this settlement was paid by the police officer’s employer. This result was obtained in collaboration with another personal injury law firm. A 41 year old male railroad worker sustained disk herniations at multiple levels of his cervical spine, resulting in five surgeries. He was injured when operating a defective device while working. This result was obtained in collaboration with another personal injury law firm. A 52 year old corporate executive fell down 22 stairs of a poorly marked, open staircase within a gas station convenience store. As a result of his fall, he suffered fractures to his skull, right clavicle, and elbow, and a subarachnoid hemorrhage. He was later diagnosed with cognitive deficits due to his brain injury, although he was ultimately able to return to his prior employment. His medical bills totaled approximately $150,000. This result was obtained in collaboration with another personal injury law firm. A 36 year old passenger in an SUV was injured when the driver of his vehicle crossed railroad tracks from a road running parallel to the tracks, driving in front of a freight train. The train crossing signals were flashing, but the signal lights were not visible given the angle at which the SUV approached the crossing. The passenger sustained traumatic brain injuries. The railroad denied that it was liable, as the SUV driver had crossed in front of several other vehicles which were stopped. This result was obtained in collaboration with another personal injury law firm. A 53 year old long haul truck driver fell down an open staircase in a gas station convenience store, causing injuries to his back and an aggravation of his prior left ankle condition. As a result, he required two back surgeries and four ankle surgeries including an ankle fusion. This result was obtained in collaboration with another personal injury law firm. A house painter who was 31 years old slid down a roof and fell 10 feet to a concrete sidewalk, fracturing both of his feet. Part of the recovery was paid by a worker’s compensation insurance company, which initially denied that its policy covered the accident. The rest was paid by a liability insurance company for the general contractor of the painting project, which also denied coverage initially, claiming that the general contractor had not done what the insurance policy required. 32 year old male concrete laborer suffered back and shoulder injuries requiring surgeries after falling from a concrete form at his job site. He was able to resume working as a concrete laborer after completing his medical treatment. 23 year old male was involved in a head on collision with a UPS semi tractor causing a surgically repaired ankle fracture, minor skull fracture, and lacerated forehead. He was released to work full duty after recovering. A 41 year old motorcyclist sustained a broken leg and a broken hand when the driver of an automobile ran a red light, causing a side impact collision. Both fractures required surgery, but the motorcyclist achieved a 100% recovery, allowing him to return to full duty work, and continue fully participating in all of his pre-accident activities. A 35 year old painter fell from a defective ladder, causing a herniated lumbar disk and torn cartilage in his knee, both requiring surgery. He was released to work full duty after recovering. A 60 year old woman was injured in an automobile collision on the Edens Expressway, when a merging vehicle caused her to collide with a concrete barrier. Her left kneecap was fractured and required surgery, and she incurred $52,000 in medical bills. She was able to return to her office job following her recovery. 23 year old male involved in a head on automobile collision suffered soft tissue injuries which resolved within days. He also suffered emotional distress caused by the death of the driver of the vehicle, who was his girlfriend. If you need the assistance of an exceptional personal or workers’ compensation injury lawyer please contact us online or via phone. © 2019 by Bingham Law / Juergensmeyer & Associates, P.C. All rights reserved.